Smartphone users love their Apps, and if Consumer spending is any indication, interest is increasing as Mobile App downloads and purchases continue growing year over year. In conjunction with this, US iPhone users in 2017 spent 23 % more on in-app purchases than they did in 2016. This is from App Store intelligence firm Sensor Tower (as reported by TechCrunch) where on average, active users spent $58. in 2017, up from $47. in 2016 on Apps. Further, they installed 4 more Apps in 2017 than they did in 2016. During the first quarter of 2018, the App economy grew even more – shattering the previous year’s records for both consumer spending and Mobile App downloads. Global iOS and Google Play downloads reached 27.5 billion, the highest of any quarter, according to AppAnnie. Meanwhile, combined consumer spending grew 22 % year over year to $18.4 billion. That’s just for paid Apps and In-App purchases – excluding revenue from third-party Android stores, m-commerce or In-App advertising. What are the most popular categories of Mobile App purchases ? Which features and qualities make Mobile Apps worth buying ? How can Enterprises provide these qualities and deliver a great User Experience with Corporate Apps – to attract new users + increase stickiness with current users ? According to Sensor Tower’s data on In-App purchasing, games accounted for 62 % of App Store consumer spending in 2017. This makes sense since Gaming Apps typically enable users to spend real-world money on a variety of virtual goods. The longer someone plays a game — and the more they want to win — the more money they spend. A close 2nd is In-App spending on Video Streaming Services such as Netflix and Hulu – which grew 57 % from 2016 to 2017 – reaching $4.40 per iOS device. In addition, Music Streaming Apps brought in about $4.10 per device. Music and Entertainment Apps gained popularity with Android users as well. According to AppAnnie’s data, this category experienced the largest market share growth on Google Play last year and in the first quarter of 2018. Consumers also spent more for social connections. Lifestyle and Dating Apps grew 110 % from 2016 to 2017 while spending in Social Media Apps was up by 38 %. 1. Be Customizable / Personalized – An example of this is Consumers spend money on Streaming Apps so they can consume the music and videos they want, when they want. Customization is also key for Gaming Apps. Insight on this is provided from the current breakthrough game, “Fortnite: Battle Royale,” which is free to play – but Users can pay to unlock personalization features such as character costumes and weapon skins. These features are so popular that the game made more money in Feb. 2018 than did rival game “PlayerUnknown’s Battlegrounds,” which is a paid App. The lesson – since User personalization resonates, profiling and knowing preferences makes for a much better User Experience. 2. Provide Rewards – If people are expected to use an Enterprise App on their personal phones or during their personal time, they need a compelling reason to do so. With Consumer Apps, those reasons often come down to entertainment, an emotional connection, convenience, context sensitive, a major personal or business benefit, and/or great value. Since these are important attributes, try to incorporate as many of these as possible into Enterprise Apps. Extending on this, there are other types of personal rewards that Enterprise Apps can also deliver — such as productivity features that contribute to better work-life balance, contributing to sustainable, a worthwhile cause, or collaboration features that boost social connections at work (a particularly important feature for roving or virtual workforces). 3. Incorporate Social / People Elements – Competition, communication and collaboration are at the heart of what makes most Consumer Apps engaging. Likewise, making Enterprise Apps more social and engaging by gamifying training or processes to create a sense of achievement, spur friendly competition, adding collaboration tools that make it easy for teams to share information on the fly, etc. 4. Add Video Content and Ease-of-Use Features – video streaming apps are gaining ground quickly. While being a very competitive space, to differentiate from established players such as Netflix, Hulu, Amazon Video and other streaming services, Enterprises can provide Training videos, self-help IT videos, context sensitive content, product tutorials, great visuals, very intuitive operation, automation of processes, links to related material, Alerts of special events / programs, and other original content to make their Apps engaging. 5. Ensure a Great User Experience – Since Enterprise App users are also Consumer App users, they know the difference between a great App and a mediocre App. They’re accustomed to seamless, personalized and rewarding App experiences, and they’re willing to pay for them. For business, they might have less choice about which Apps to use, but they’re still more likely to engage with Apps that deliver value and improve their life. Organizations can learn much from Consumer Apps when providing Enterprise Apps – to enable people realize the significant benefits associated with the ” Convenience of Mobile and the Power of Apps “. 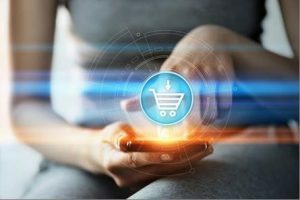 And by delivering a ” great User experience ” with relevant and easy to understand information that is timely and pertinent — enterprises have a unique opportunity to meaningfully improve business outcomes and successfully innovate with new products and services – in current and new markets.